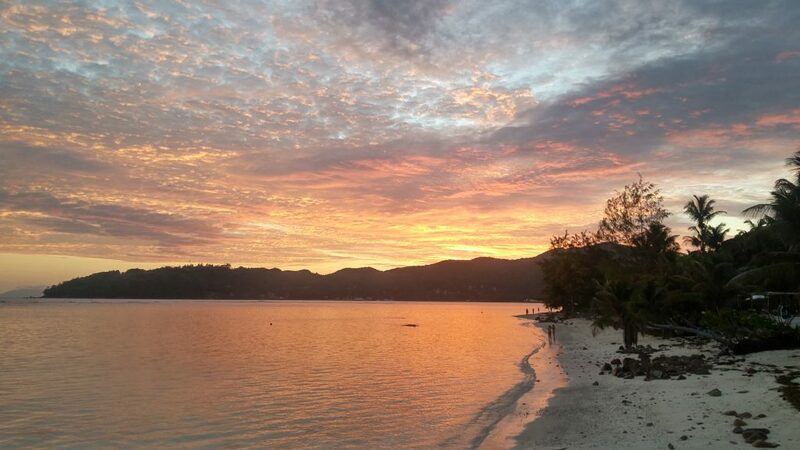 If you want to know witch are the moste stunnin beaches of Seychelles you are in the right place. 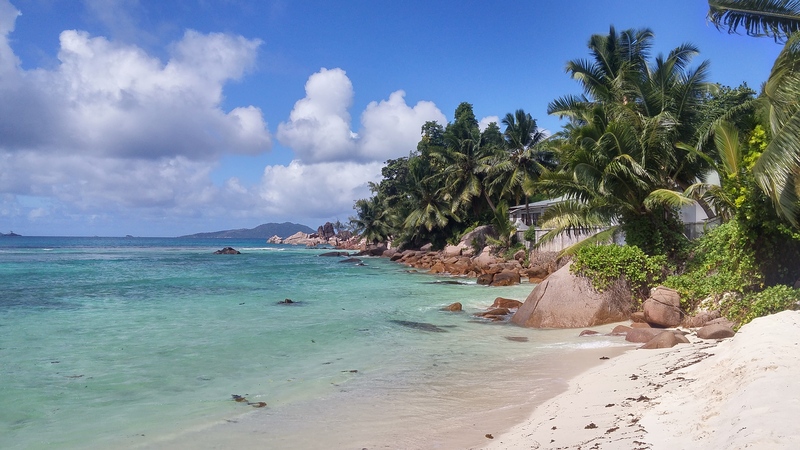 Anse lazio is one of the most beautiful and famous beaches of Praslin island, white sand, big waves and palm is what characterizes this little slice of paradise. There’s no buses that stop directly to the beach, the closest one is Anse Boudin bus stop, half an hour walk from Anse Lazio, beware that the walk there is up hill, especially on the way back and exposed to the sun. Another way to reach it is to stop at Mt. Plasir on the opposite side of Anse Boudin, as soon as you’ll get off the bus you will see a large path that will take to the beach, this will take a little longer about an hour walk, but there’s no up hill on this walk and while you getting you’ll get great views and see many lovely gardens with tropical plants and flowers, probably the best way to get there! If you’re feeling lazy you can always grab a cab after you arrive at Anse Boudin bus stop and let the car do the up hill bit, might sound like the best solution, but not really. Taxi drivers will take advantage of the situation and will ask for a lot of money to do that little drive, so to get a better value for you’re money, it’s better to get a taxi from you’re hotel to Anse Lazio, with a little bargain skill you’ll get a good price. Shallow calm crystal clear water! Very few tourist and some local people, peace and relax. 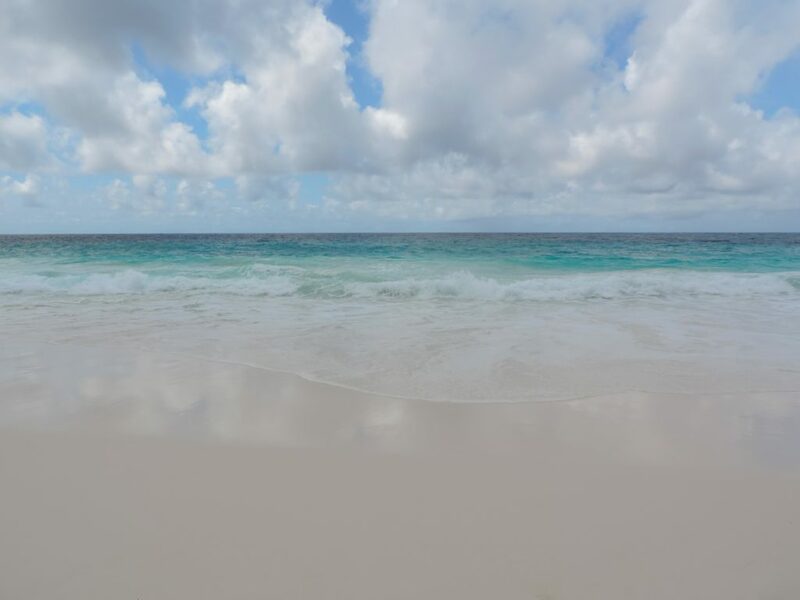 Anse Boileau is one of the most stunning beaches on Mahé. 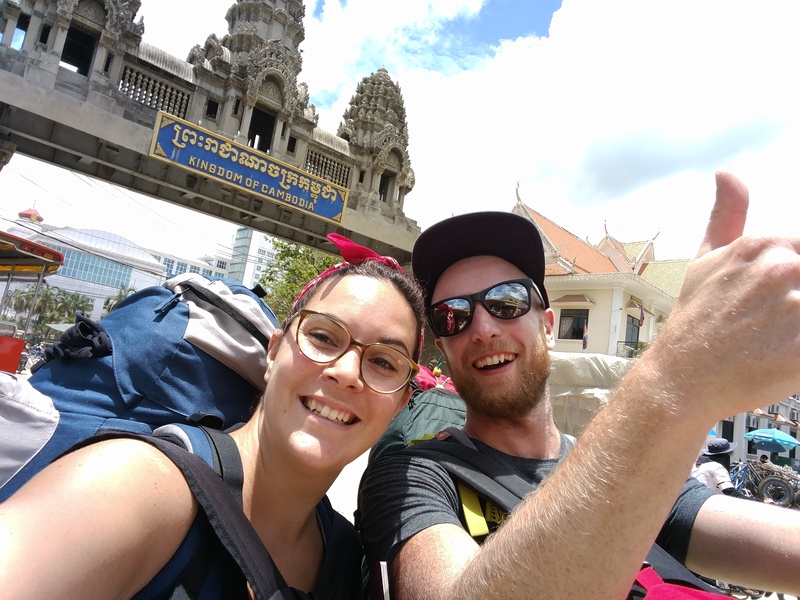 Easily reached by bus from almost everywhere on the island. Best way to visit Mahè is to rent a car, it’s not cheap (40 euros a day), but it’s the best way to get around the island, finding stunning places that you’ll probably miss if you just take a bus or tour. Sister island is a private island that can only be reached trough organized visits. In this case it’s worth paying to get there. 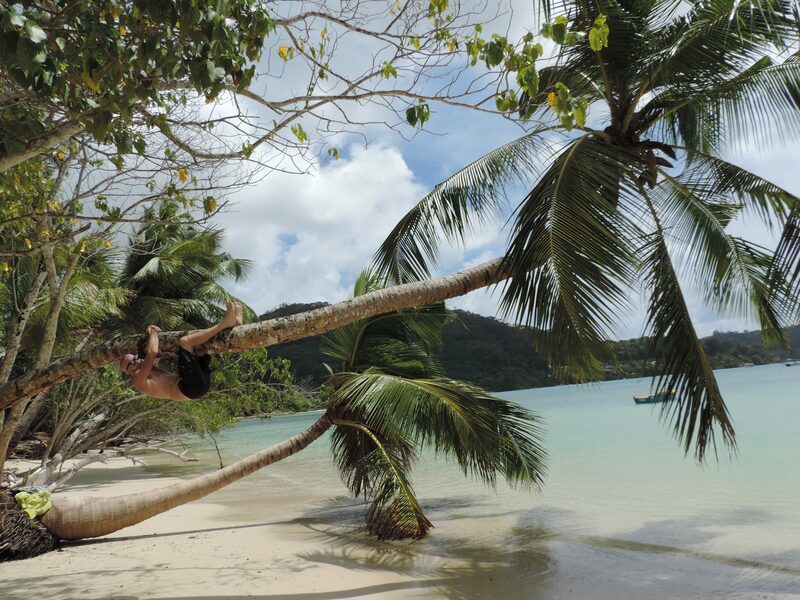 The island is very well kept and during the guided tour you can try the typical Creole BBq, go snorkeling in a very nice place and admire the giant tortoise that live here. 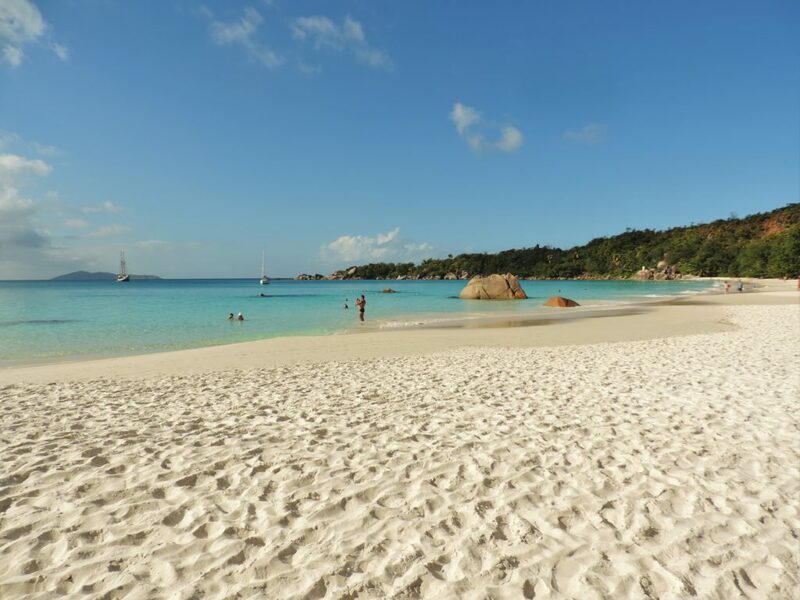 If you were asking yourself where’s the best spot for snorkeling on Praslin i can guarantee that Anse la Farine, in front of Hotel New Emerald Cove is the place to be. The water is always shallow and calm thanks to the coral reef that isolates the lagoon and creates various natural swimming pools. You can reach Anse la Farine only trough the hotel that will charge you 1200 rupees (about 80 euros, but the price might change check with hotel) for guided snorkeling in the lagoon, a soft drink and hotel service. 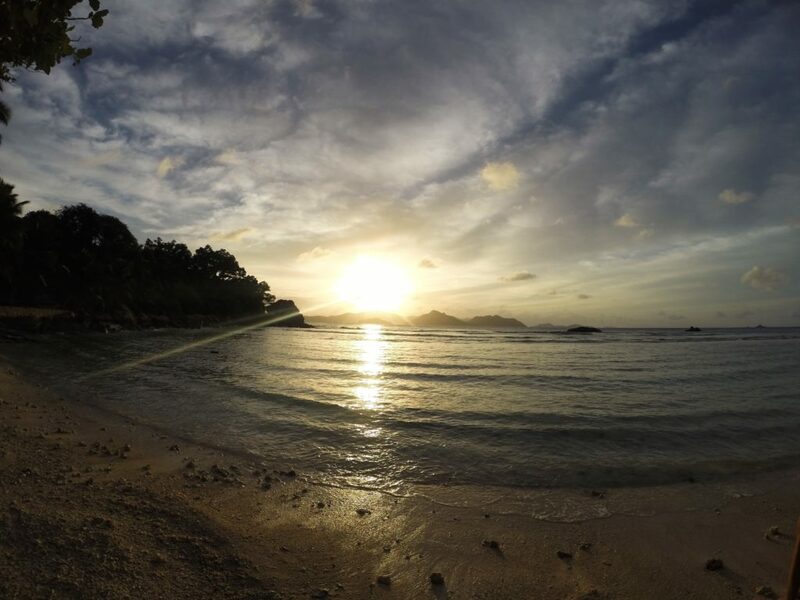 Anse Source d’Argente is one of the most stunning beaches in the world. Unfortunately most of the times is packed with tourists. 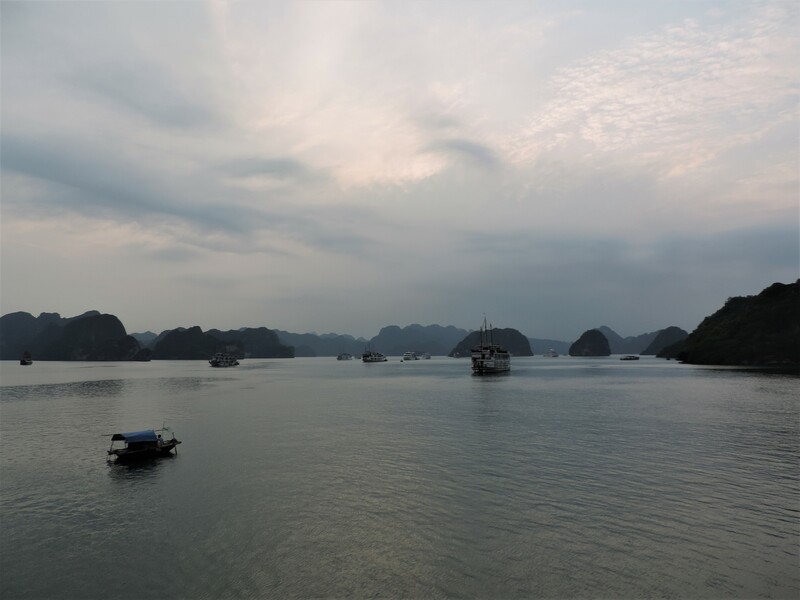 Incredible eroded rocks overlook the crystal clear water full of colorful fishes. 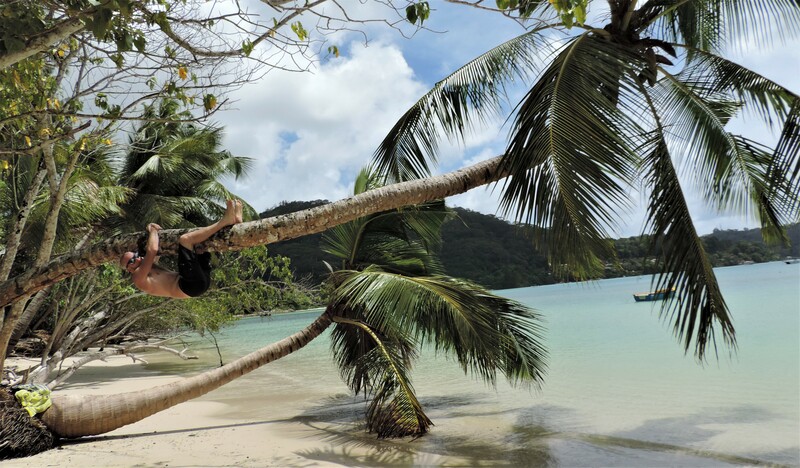 To reach it you must go trough a natural park where you can find giant tortoise, coconut trees and the famous vanilla plantation of la Digue. 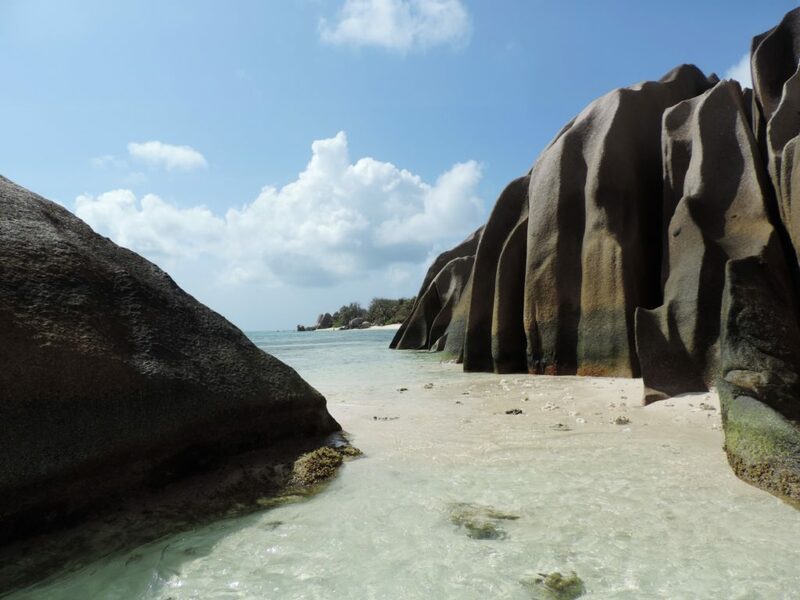 You have to pay 100 rupees to get in, but it’s really worth it, despite the herd of tourist, it’s a must in la Digue! Massive waves, wind and strong currents. Grande Anse it’s not for swimmers, but it’s still a great spot. I recommend to have lunch in the small barrack on the beach, a rustic place with nice creole food and a great view. 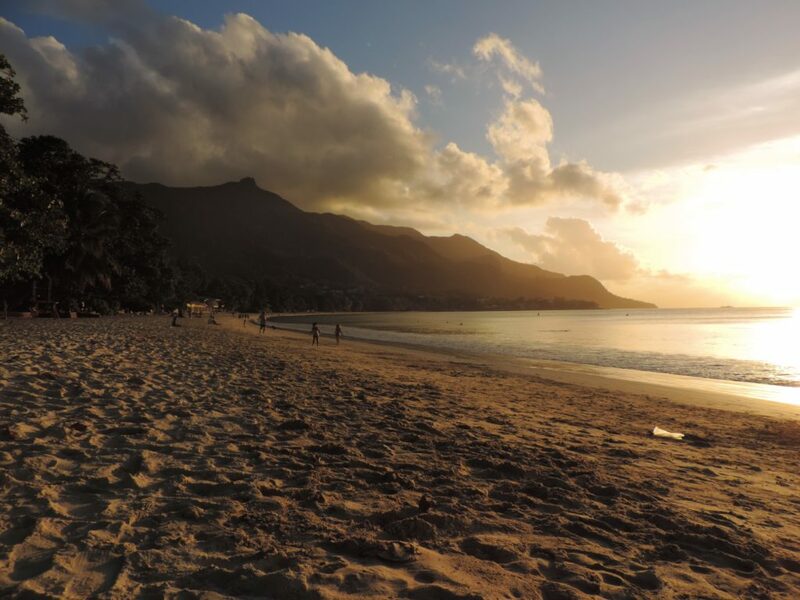 Beau Vallon is not you’re classic “paradise beach”. A lot of people come here but you’ll get a nice view and take some good pictures at sun set. Check it out! 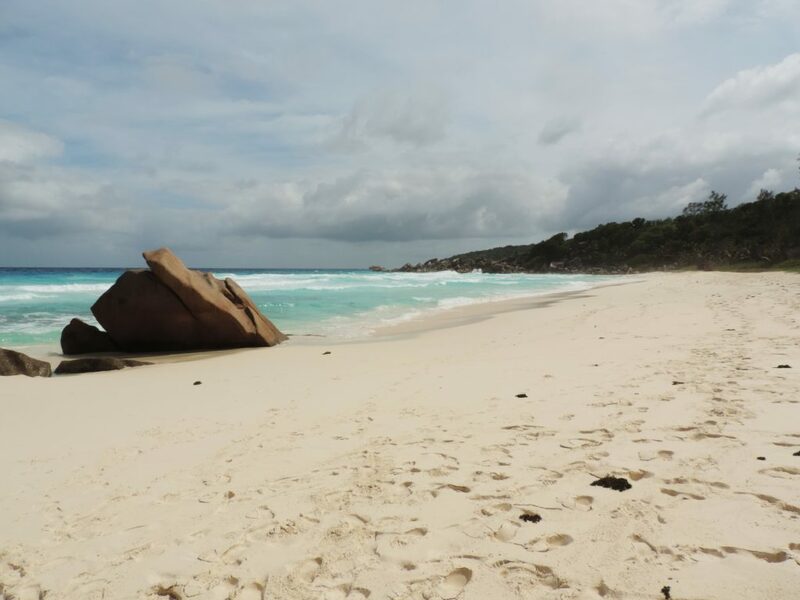 On the west coast of la Digue you can find Anse la patate, a beautiful and not crowded beach. The water is really shallow, all the way up to the barrier reef, that makes it a good place to just paddle in the water and relax till sunset. Only problem is when you get high tide, the beach disappears. The best way to move around la Digue is to rent a push bike. Cars have been around for just a couple of years, so no traffic. Basically every hotel or guest house has a bike rental service, not too expensive. If you’re just visiting for a day you can find bikes rental as soon as you get off the boat.